It was not long ago that companies could quickly and easily pull ahead of their competitors by jumping on the latest innovation and riding its wave. These days, it does not pay for a company to simply wait for the next big thing to happen and get on board. If a company is leading the charge, it has an advantage in knowing what lies in the near future for its industry. However, those that do not have that luxury must figure out a different path. In a recent study by Forbes Insights and Deloitte, over 2,000 C-suite executives were surveyed, and the results were surprising. Apparently, becoming a disruptive company is fairly low on their list of priorities. One reason is because of the obstacles they face regarding the implementation of technology investments. In addition to this finding, the study showed that 67 percent of the executives would be more like to invest in current technology trends in an effort to avoid disruption. Only 23 percent have reported their companies as being disruptive within the previous year. Instant gratification - If there is a risk of the results taking too long to be realized, it can be difficult for a company to go all in. They would rather put their money into something that will provide an immediate return on investment. While this is a bigger commentary on our society, it is also the safest option when it comes to choosing where to budget your organization’s money. Lack of knowledge - It can be difficult to put a large chunk of your budget into a technology that you do not understand. Without a clear sense of what Industry 4.0 technologies are, how can an executive confidently plan for where that investment could take the company without the mindset, or talent of sorts, for forethought? Taking a leap of faith into a new direction takes vision, and some of these leaders just do not have it. Too many options - With the overwhelming number of technology choices to consider, the thought of choosing one can be scary. How will you know if you have picked the right one? In Deloitte’s recent Tech Trends 2019 report, which takes a look at the last 10 years of disruptive change and attempts to make sense of the future of the technological future, it notes that if companies just focused on known technologies that have the potential of great importance to the market, then they will be able to more easily piece together a strategic plan for investments and future decisions. Societal impact - Have you ever heard the saying, “you are not responsible for other people’s reactions”? There is definitely some truth to this, but it would also be irresponsible not to consider how something might impact others. When it comes to evolving technology, there is a great chance that it could change the world as you know it. With this in mind, executives are hesitant to make that choice without being able to foresee the social impact it may have on society. Ethical considerations - This is something more and more companies are becoming intentional about. With the growing instances of cyber incidents and data breaches, consumer privacy is top of mind. New technologies could run the risk of violating new security guidelines or putting people at risk in other ways. In the Deloitte report, 38 percent of executives cited ethical implications as a reason for holding back on certain technology investments. Though ethics is entering the technology world, there are not that many companies doing something about it. Under 50 percent of leaders do not think their companies totally get the ethical implication of some Industry 4.0 technologies and under 30 percent say that it is being discussed within their organization. Just over 10 percent say that they are considering policies regarding the ethical use of these technologies, or that they already have policies implemented. It is easy to see why executives are being cautious with their technological investments, but it is important to not overthink it to the point of stagnation. There is an opportunity here, and leaders should try not to miss the boat. Their competitors will go for it, and they will be left in the dust. By creating an approach that identifies innovative, yet solid, solutions that combine technology with a business vision, they could end up being disruptors after all. If you are currently searching for talent to lead your next disruption, contact ICS. 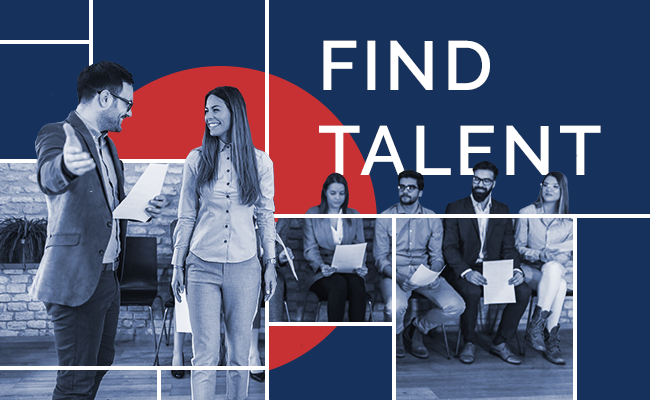 We'll be happy to connect you to our network of driven and innovative candidates. Click below to start your search!